WASHINGTON – Jennifer Wethe knows the importance of getting treatment for a concussion as soon as possible. She also knows how often concussions can be overlooked in those critical first few moments. “What we find instead is a lot of times people making excuses: ‘Oh well they’re just dehydrated,’ or ‘They got the wind knocked out of them,’ or ‘They had a headache,'” said Wethe, the co-director of the Mayo Clinic Arizona Sports Neurology and Concussion Program. “Or any of these other things for why there might be some symptoms there instead of actually just checking them out objectively,” she said. Wethe hopes to change that with a new protocol she had developed that can test athletes for concussions in under three minutes and that is simple enough to be conducted by a layperson. 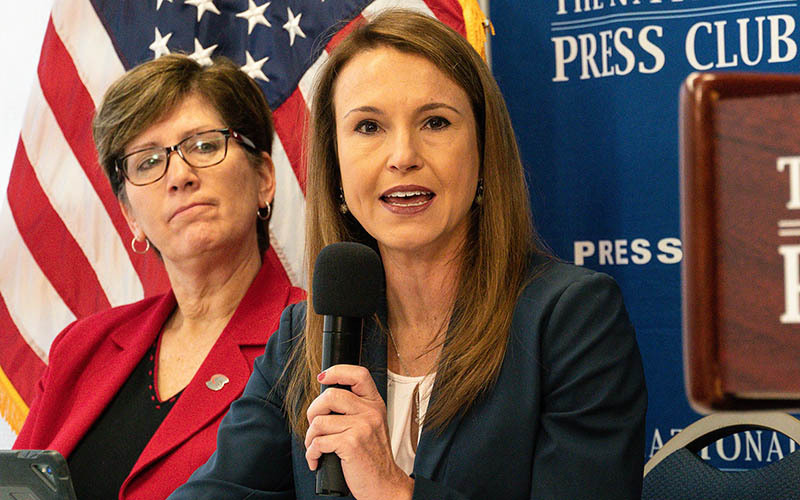 She was in Washington recently to launch a national collaborative project aimed at preventing youth sports injuries across the board – not just concussions – through greater awareness, better data collection and tools like Wethe’s concussion test. The Athlete Incident Management System platform, or AIMS, was developed in a partnership between Mayo, U.S. Youth Soccer, InjureFree and the U.S. Center for SafeSport. It is able to collect data on brain injuries, as well as educate parents and young athletes on concussions. Wethe said the project could really help keep children safe and improve recovery after injuries. U.S. Youth Soccer members and teams in 15 states already have access to the platform, which is powered by InjureFree. It lets administrators track and report concussions and other injury incidents in real-time, as well as stay up to speed with state and federal regulations related to athlete safety. Plans call for the project to expand to every state where U.S. Youth Soccer has associations, and there are plans to expand to other sports as well. “This tool has the relevance and appeal to be used outside of soccer,” Chris Moore, CEO and president of U.S. Soccer Youth, said. The protocol developed by the Mayo Clinic is already being used to assist hockey and football teams across the Phoenix Metro Valley, Wethe said. The U.S. Center for SafeSport is part of the project, providing education on abuse prevention in sports. 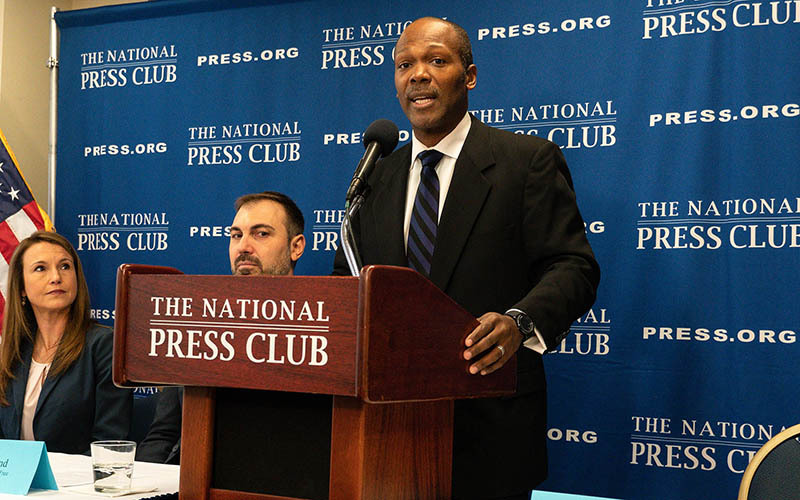 Center President and CEO Shellie Pfohl said young athletes who have suffered emotional trauma when playing sports run a greater risk of suffering concussions. “Anytime something happens and takes a child or adult love for a sport away, then that’s one too many,” Pfohl said. In Arizona, state law requires that coaches take an athlete out of a game if they see signs of a concussion, said Joe Paddock, assistant executive director of the Arizona Interscholastic Association. Paddock said that “our state law pretty much dictates that a student can be removed from the competition by any number of people.” Once a student is off the field, only trained medical professionals can clear him or her to go back in the game. Wethe said that with testing, athletes who need help can get it and those who can go back in can do so. “Odds are with our protocol that we have with concussion check. … if they (children) pass every step of that, the odds of them actually having concussion is pretty darn low,” she said.